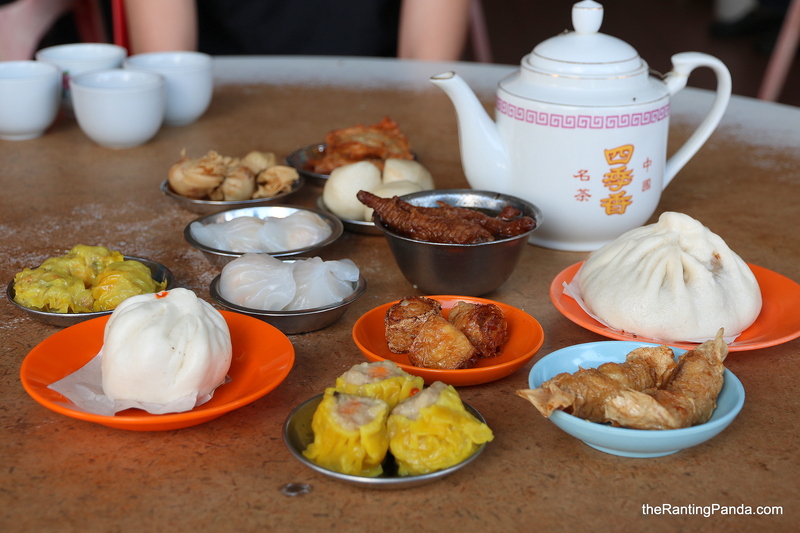 The Place Located near Jonker Street yet away from the hustle and bustle, Low Yong Moh Restaurant is an old school dim sum which has been around for decades. The restaurant is opened as early as 5.30am and draws a pretty consistent crowd made up of locals and tourists alike. It is not a big space, no air-conditioning, just huge round tables where it is not uncommon to share tables with other fellow diners. The ambience is boisterous, with staff shouting orders across and ushering diners to their tables. The Food We were not given any menu during or visit, though the dishes range between RM1 and RM4 on average. Instead, we merely sat at our table and waited for the staff to bring the dim sum to us. They will go round each table with a big tray of an assortment of dim sum items, where you simply pick the ones which you fancy. We had quite a good variety, including some of the signature items like the Custard Bun or Liu Sha Bao, Glutinous Rice and Char Siew Bun. The Liu Sha Bao has that perfect ooze, but is way too sweet for my liking. The Glutinous Rice is tasty, though I find it too greasy. Siew Mai and Har Gow are two dim sum items I usually order and it serve as a good benchmark of a restaurant for me. Unfortunately, the Har Gow is quite tasteless while the Siew Mai lacks any sufficient fillings. Other dishes we tried include the likes of fried spring roll and surprisingly decent fishballs. Rants Without surprise, the service is quite unfriendly and staff are impatient. Will I Return Again? It’s all for the old school ambience at Low Yong Moh Restaurant. While prices are cheap, the quality of the food is really average and I doubt I will return again.